How to improve organic SEO? Search engine rankings are increasingly based around good original content, that cannot be found elsewhere on the internet. Having good solid content, is one of the best ways to improve your website’s search engine ranking. You can also do several other things with organic SEO (Search Engine Optimisation), to help improve where your website is on search engine result pages (SERP). 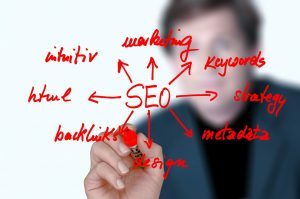 As much as focusing on pushing your website up, it’s also important to ask “What would make my website drop down on search engine results?” this will in turn help improve your ranking position… Read the below to understand a little more about organic SEO and how you can easily improve your website’s search engine ranking! This is now a major factor! Slow loading pages will be marked down by search results, this is especially relevant with responsive mobile websites. The vast majority of search traffic is now on mobile devices, so if your website isn’t optimised for speed and fast loading on mobile devices, your search engine position will suffer. One of the best ways to improve your website’s page load speed is to install a proxy server up front, also known as a CDN (Content Delivery Network), one great example of such that offers a free solution is CloudFlare. Search engine bots read your website and analyse the content, they love to be guided around your website with titles, headings (<h1/h2/h3>), sitemaps and menus. Ensuring these are all relevant to your target keywords and chosen subject matter, will encourage a higher search engine result position. If the bots struggle to find all your content, it will take longer to be indexed or may not be indexed at all. Additional tags can be added to image files that are used on your website, increasing the frequency of keyword appearance within your website, again improving your chances of a higher search engine result position. Any links in your website can also have a title tag (also known as Anchor Text), search engines like these, as it helps them to categorise your website further. Don’t link out of your website using any of your chosen search terms or keywords, as this can be detrimental. However well chosen and structured links to other pages within your website or even to external sites with good content, can indeed increase your search results position. Search engines will use the sitemaps on your website to improve the indexing of all the pages. Creating both an XML Sitemap using a plugin such as Yoast and an HTML Sitemap using a plugin like WP Sitemap Page (linked to from your home page) will help search robots glide around your site. This will also ensures all important pages are link to from your home page within the magic 3-Clicks. By far one of the most effective ways to improve your search engine ranking position, is to have an authoritative and trustworthy website. This doesn’t mean that you need to be linked to the local police force or recite a cub scout oath. When authority and trust is referenced in terms of websites, it means – how well the search engines “Trust” the content you have on your website and which other websites are willing to share and backlink to it, showing that you are the “Authority” on the subject matter. Using social media isn’t just for shouting about the latest product, deal or promotion – social sites like Google+ can also be used as very effective organic SEO tools, to improve your search engine ranking. 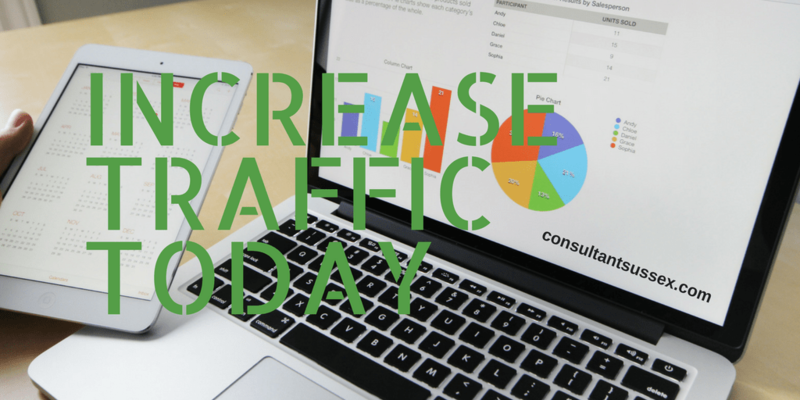 Including a link to your website in all social media posts that get liked and shared, can increase website traffic and your aforementioned website authority and trust. Google’s most recent algorithm updates are all about content and bringing the best to the top of the search engine. Well written, informative, useful and carefully formatted content will always win out. Make sure your blog posts and landing pages are dynamite, then you’ll be rewarded for all your hard work with high rankings on Google. White Rabbit can help with all of the above and more, giving your website the boost it needs to perform for you, get to the top of the search results and increase the clicks on your website. Just ask how White Rabbit can help and let us do the rest.